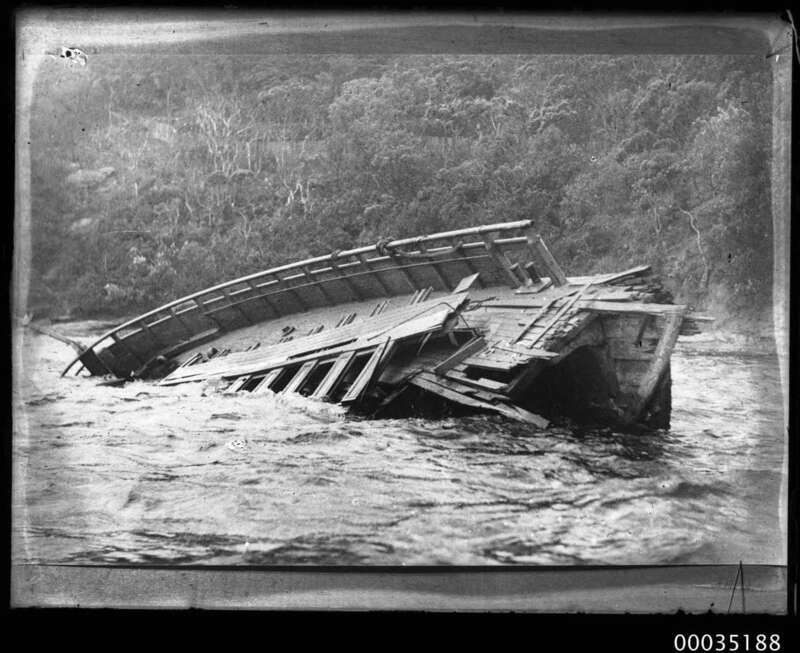 On 3 November 1927, the Union Steamship Company’s RMS Tahiti collided with the Watsons Bay ferry Greycliffe off Bradley’s Head. It became known as Sydney’s worst maritime disaster and etched itself into the minds of those who witnessed scenes of ‘indescribable horror’ on the harbour on that sunny afternoon. …like a huge knife, the bow of the Tahiti cut through the middle of the Greycliffe, shearing through the steelwork and wooden superstructure as though it were so much matchwood…In a moment one half of the vessel had disappeared from view, and the other immediately became alive with scrambling terrified people. …it was all over before we knew anything about it. We heard the siren, and when the ship trembled slightly I remarked to a friend, ‘they are putting the brakes on.’ That was the last time I laughed. Looking over the side I could see the ferry slowly turn over, and then, to my horror, she split in halves…It was terrible to hear the women and children screaming. I could not look any longer, and in a minute or two we had left the wreckage and its struggling occupants behind. Those that occupied the lower compartments of the ferry struggled desperately, realising that unless they broke through the windows or gangway openings before the vessel sunk, they would drown. Personal items and bits of timber littered the harbour as the scene of ‘unutterable desolation’ unfolded. The open space in front of the Fort Macquarie Tram Depot at the Man o’ War steps, where the Sydney Opera House now stands, was turned into a temporary casualty station. 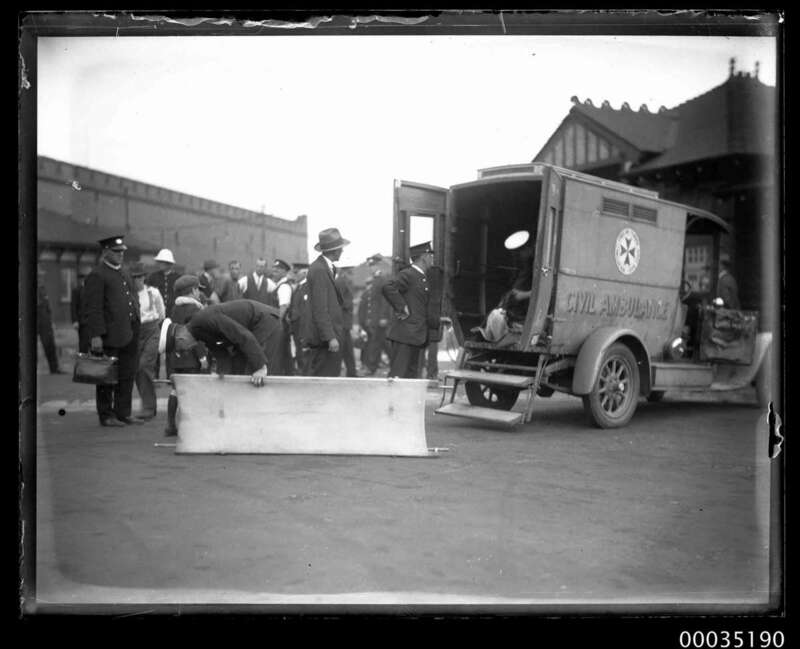 For nearly an hour, ambulance vehicles were travelling between the site and Sydney Hospital. Some victims were revived on the pathways at the steps; others were conveyed straight to the hospital with wounds of varying severity. The next day, Mary was found drowned along with her daughter, she had been holding her in her arms. “Just before finishing work on Friday,” he said, “I decided to have a look around a portion of the wreck which had not hitherto been explored. 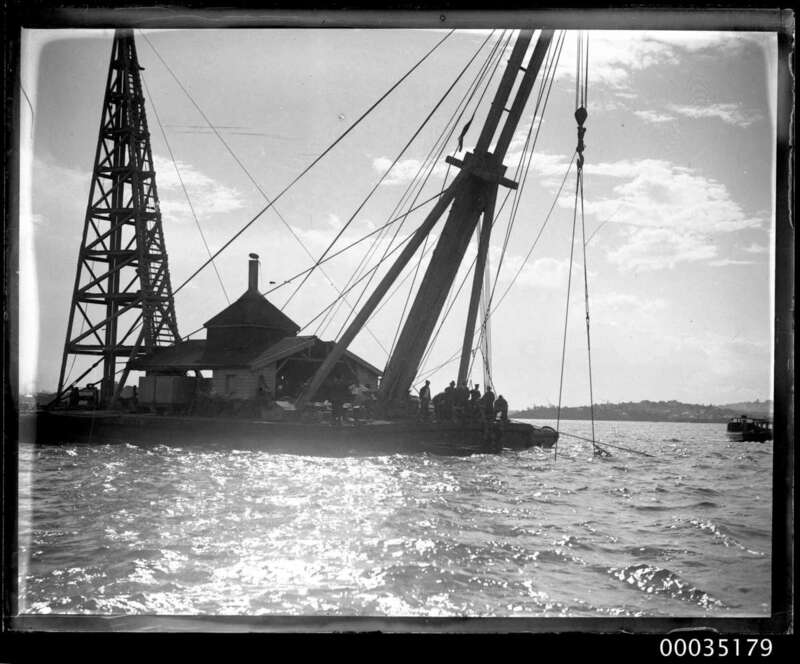 Salvage workers from William Waugh Ltd of Balmain used a sheerlegs crane more powerful than that of the Harbour Trust’s to lift the vessel from the water. 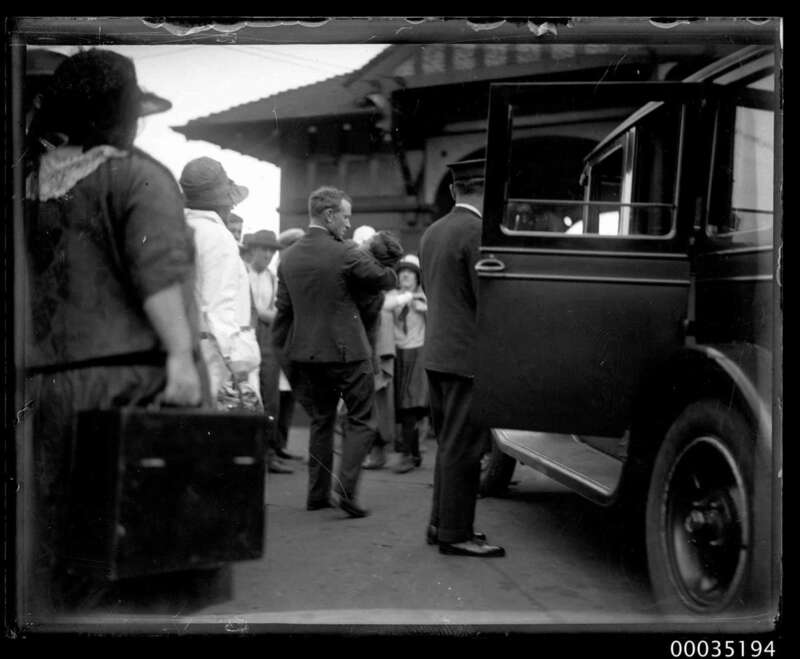 Hood captured these scenes and one of his photographs was published in The Argus. 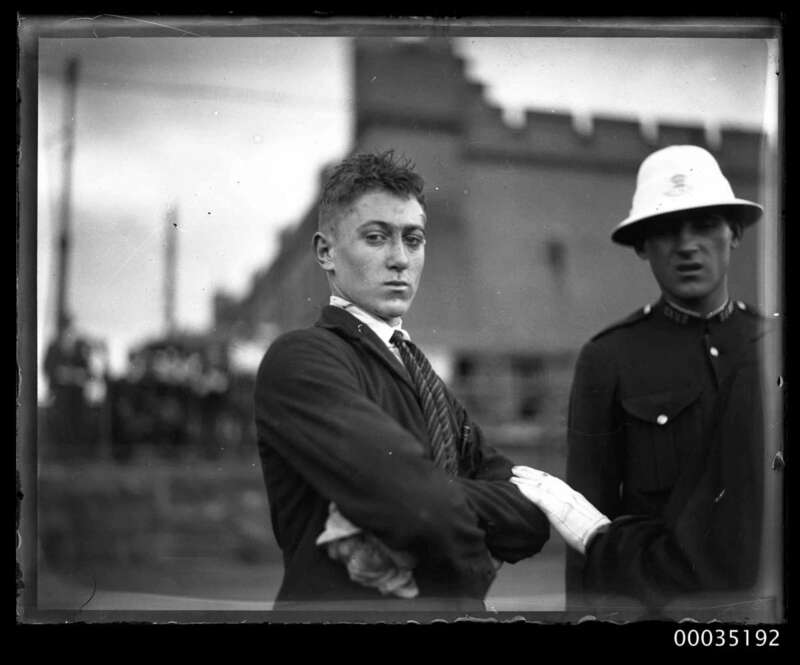 One of the most striking photographs Hood took was the one of a man carrying a young boy in his arms. We have not been able to identify them so far; however, the photograph illustrates the tragedy in a compelling way. It stands next to the unidentified injured man as a stark reminder of what happened that day in Sydney Harbour, when 40 people lost their lives and a whole city was brought to a standstill. Only three years after the disaster, Tahiti sank southwest of the Tongan Islands. Steve Brew, Greycliffe: Stolen Lives, Navarine Publishing, 2003.